FedoraCoin (TIPS) has just been added to the Cryptsy exchange and has quickly moved from a dying status to a skyrocketing alternative crypto coin. The current exchange rate for TIPS is 0.00000085 LTC and you can quickly cash up well if you have been mining Fedoracoin when it was announced and the difficulty was very low. But even now, with this high exchange rate and low difficulty for mining you can still make even better profit mining TIPS than mining for DOGE. And since there are not that many pools for TIPS available, you can start mining immediately at Multipool that has restored the Fedoracoin mining pool they’ve had and closed recently. FedoraCoin leads a whole new paradigm in the world of cryptocurrency. 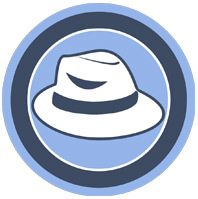 Users of the currency can thank each other for great contributions in online communities by tipping some fedora’s to each other.